Photodynamic therapy (PDT), also known as photoradiation therapy, phototherapy, or photochemotherapy, involves the use of a photoactive dye (photosensitizer) that is activated by exposure to light of a specific wavelength in the presence of oxygen. The transfer of energy from the activated photosensitizer to available oxygen results in the formation of toxic oxygen species, such as singlet oxygen and free radicals. These very reactive chemical species can damage proteins, lipids, nucleic acids, and other cellular components. Applications of PDT in dentistry are growing rapidly: the treatment of oral cancer, bacterial and fungal infection therapies, and the photodynamic diagnosis (PDD) of the malignant transformation of oral lesions. PDT has shown potential in the treatment of oral leukoplakia, oral lichen planus, and head and neck cancer. Photodynamic antimicrobial chemotherapy (PACT) has been efficacious in the treatment of bacterial, fungal, parasitic, and viral infections. The absence of genotoxic and mutagenic effects of PDT is an important factor for long-term safety during treatment. PDT also represents a novel therapeutic approach in the management of oral biofilms. Disruption of plaque structure has important consequences for homeostasis within the biofilm. Studies are now leading toward selective photosensitizers, since killing the entire flora leaves patients open to opportunistic infections. Dentists deal with oral infections on a regular basis. 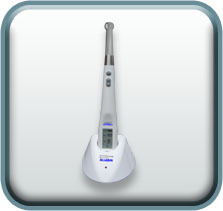 The oral cavity is especially suitable for PACT, because it is relatively accessible to illumination.